The concept of my work is how to use organic materials to make garments and being more sustainable. 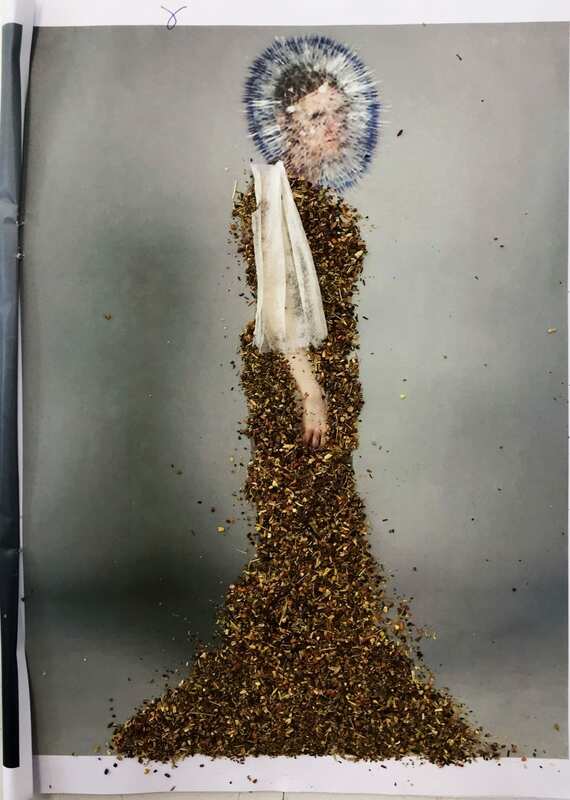 I used a photo of a model from my magazine and made her a dress with tea and tea bags. 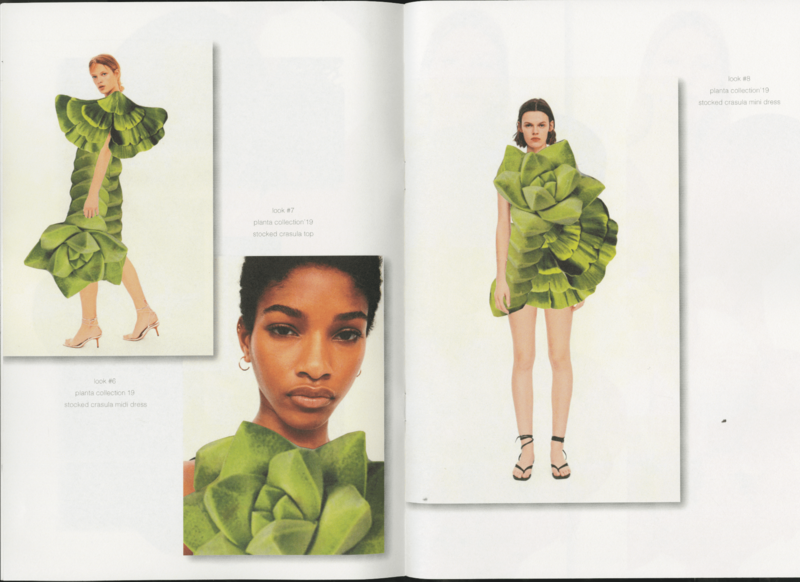 ‘Planta’ is a fictional fashion collection of wearable plants. 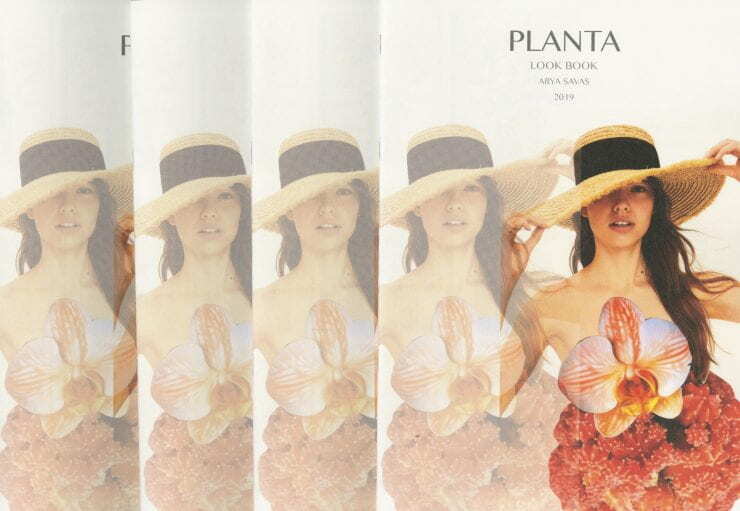 Planta, the name of the collection means plant in Latin. 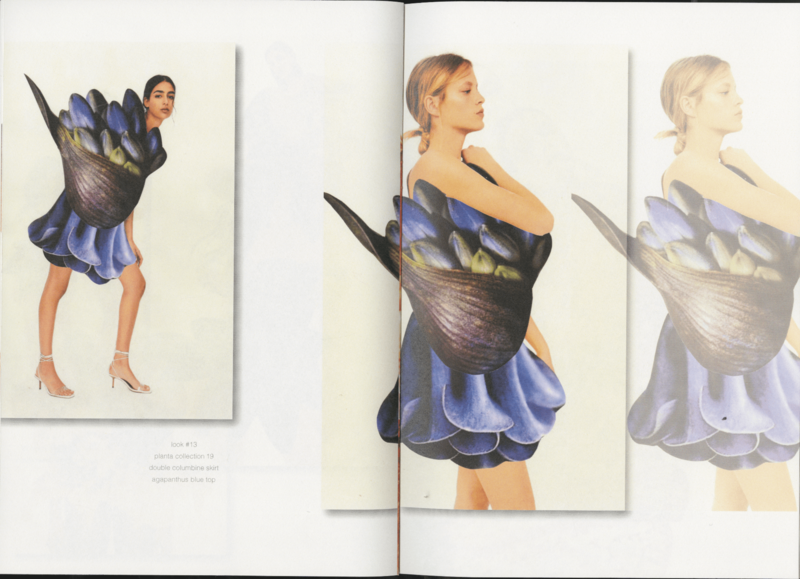 The garments are made with photos of different types of trees, flowers, and leaves that I have collected to make collages. 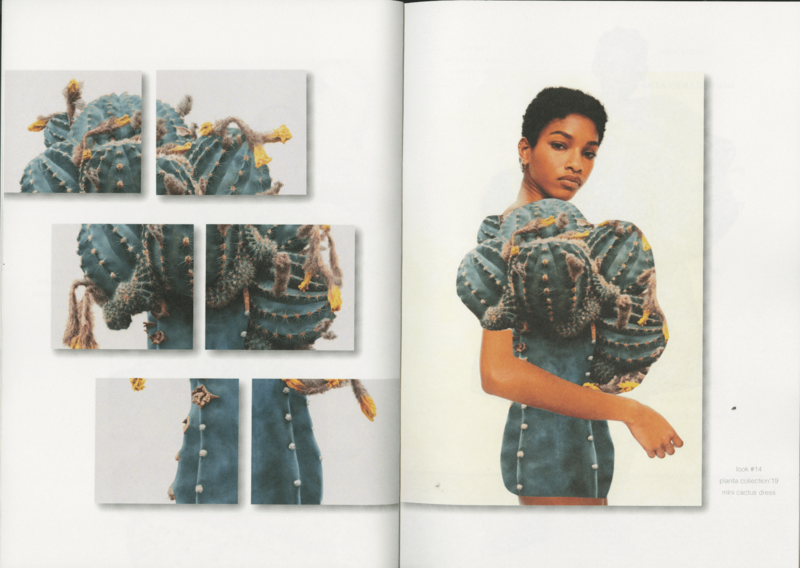 My final piece is a look book which I collect all of my collages for ‘Planta’ collection. 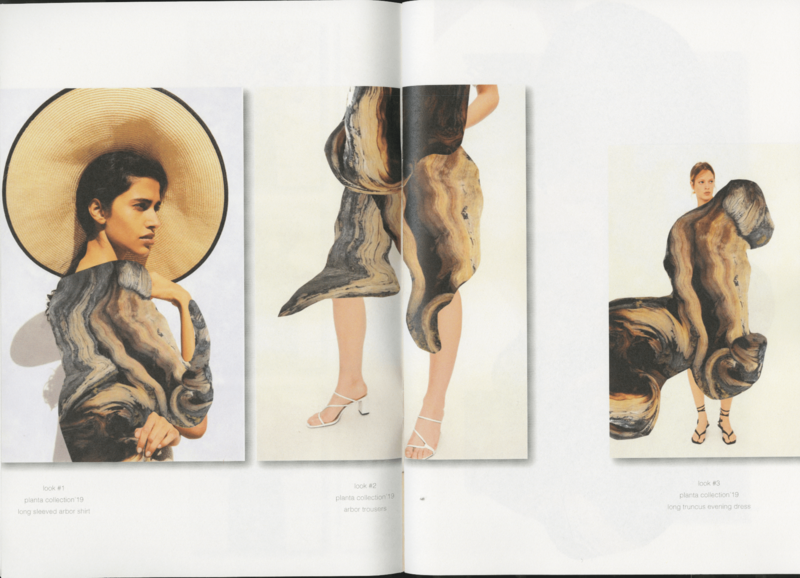 It starts with a short description of my concept, then continues with my collages. Each of them has names of the plant that I have used. As a result of climate change, current designers in the fashion industry have started to take a more sustainable approach while designing clothes to produce less trash, recycle the materials and to use organic materials that do not damage the environment. It may be still not a very popular subject in the fashion industry but I believe that sustainability will be really important in the future for the environment and it will change all the materials and shapes in fashion such as fabrics, textiles, and patterns. This fictional collection represents this time in the future when the garments will be fully made of organic materials. This might be not wearable in 2019 but it might be possible to buy these garments in the future and wear them in daily life. I am hoping to raise awareness about environmental problems and inspire people to start living a more organic life to protect our world with this collection. 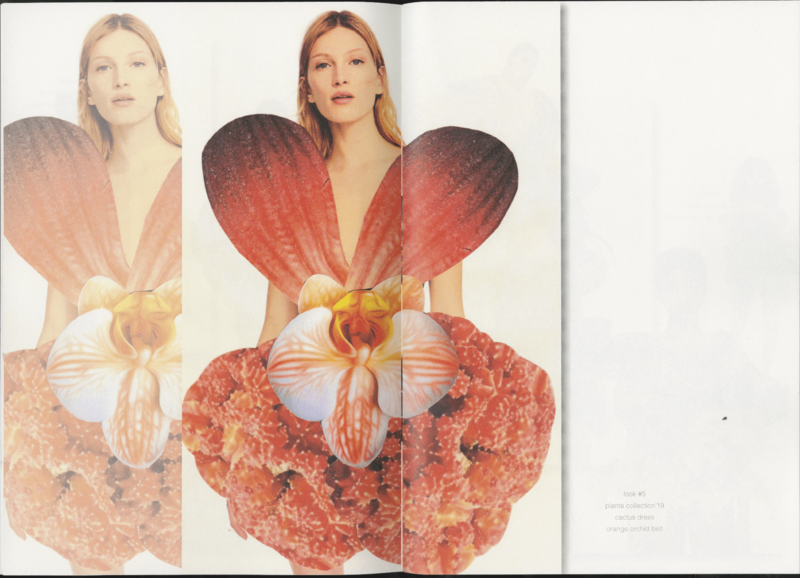 Alexander McQueen is a designer who also has worked with the topic of nature in his collections. 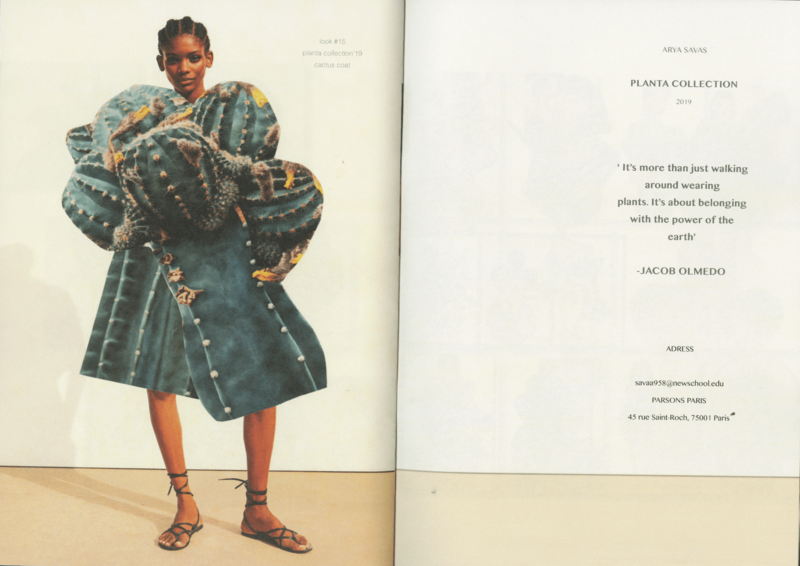 His collection called ‘Plato’s Atlantis’ specifically influenced my work. He got inspired by the idea of a time when humanity, having wreaked havoc on earth, returns to the oceans. He created hybrid human creatures that can breathe under the water to survive. 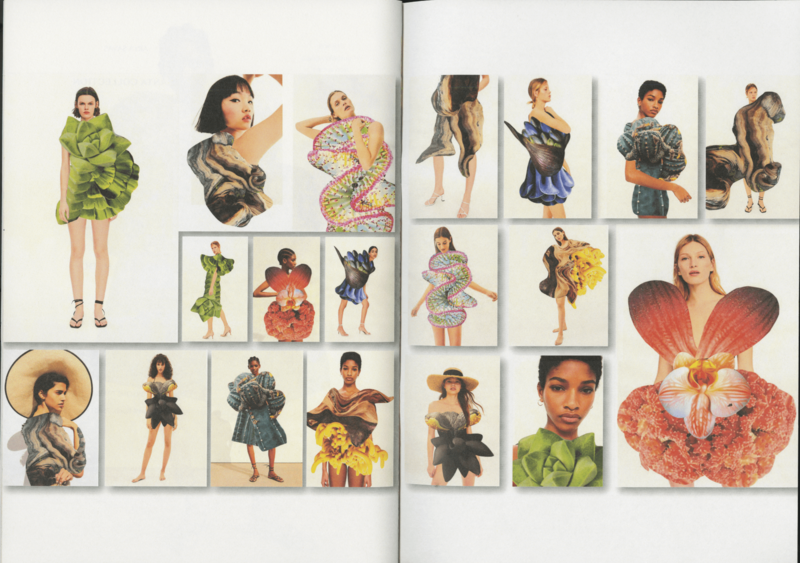 He used images of animals and plants underwater and in the forests to create the garments in this collection and people can clearly see the source of inspiration. 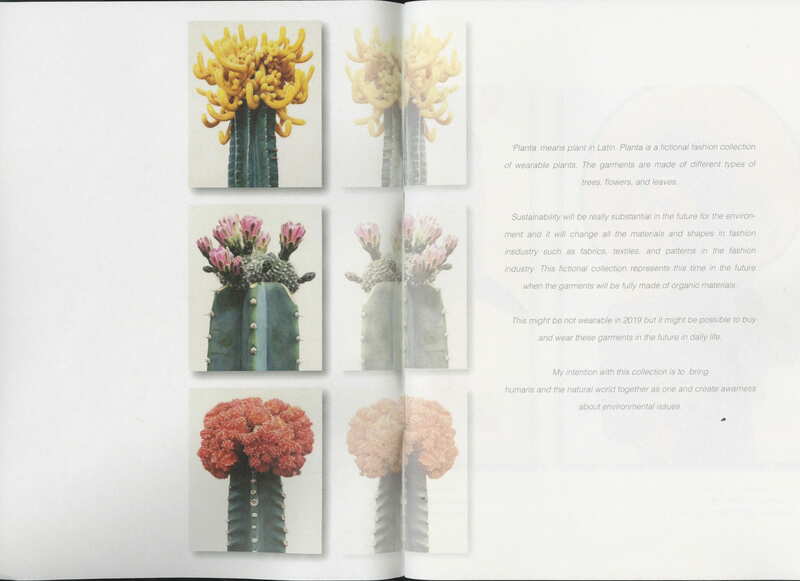 I used this idea of creating a fictional world with images from nature for my ‘Planta’ collection. My collection also gives an environmental message as ‘Plato’s Atlantis’ He shows what could happen if we do not stop the climate change in the future and gives a message to the audience. 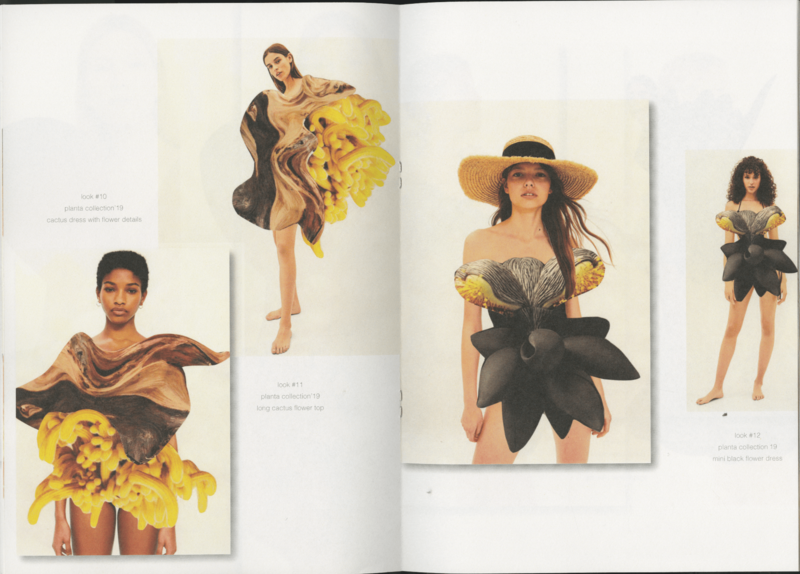 My first idea for the project was to make accessories with objects from nature such as pine cones, leaves and tree branches to make a photoshoot while models are wearing them. I went to Bois de Vincennes to collect objects however my experiments with the materials were not successful. The objects that I have created did not present a clear and concise concept for my project. So I decided to make collages with photos of plants. Since my idea was to give an environmental message through fashion I started make experimentations with photos to create garments. I used collage techniques to combine different types of plants and also to find unrealistic and unique shapes. Plus, using photos directly from nature is more effective to give an environmental message. 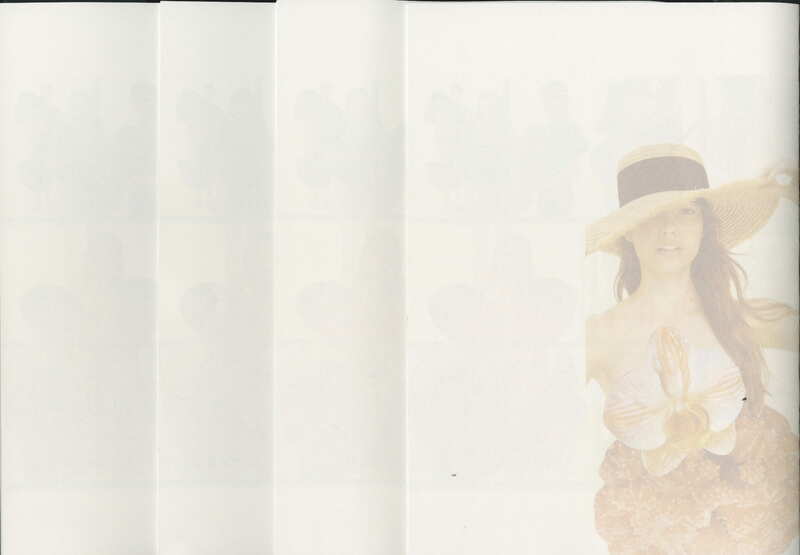 I collected images of models from the website of Zara to wear my garments. 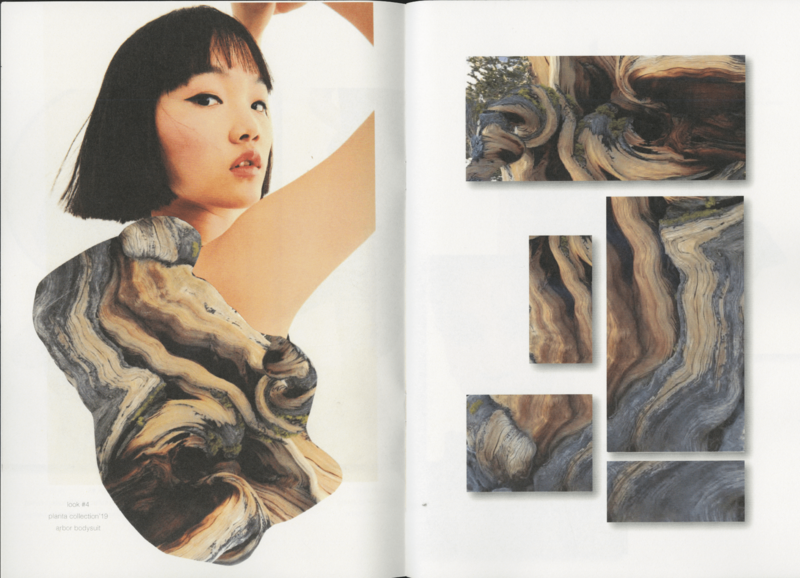 On the other side, I designed a fashion magazine for women which I can put my collages but also works of other designers and artists about nature. Again the message of my project was not clear with the combination of real and fictional artworks and collections. 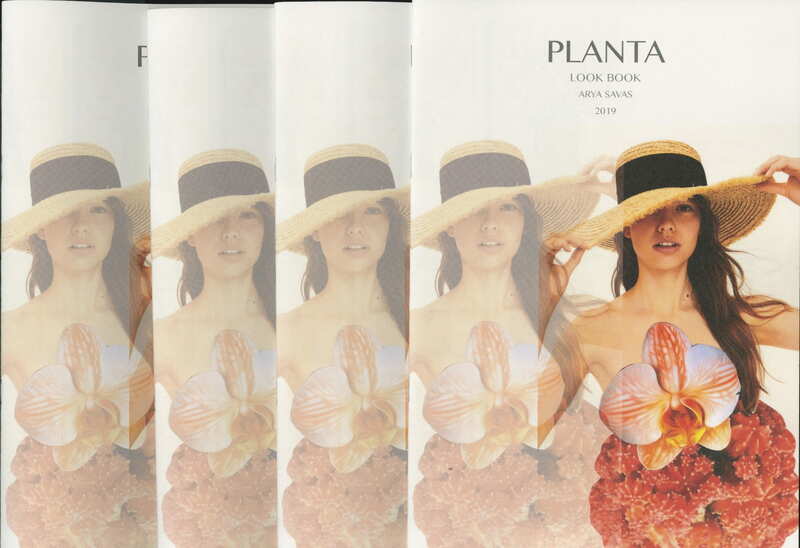 Finally, I made a lookbook to present my fictional collection called ‘Planta’.I hope that the message is clear and I can inspire others to be more responsible about the environment.